“Yes,” I replied as my three children gazed up at me quizzically. 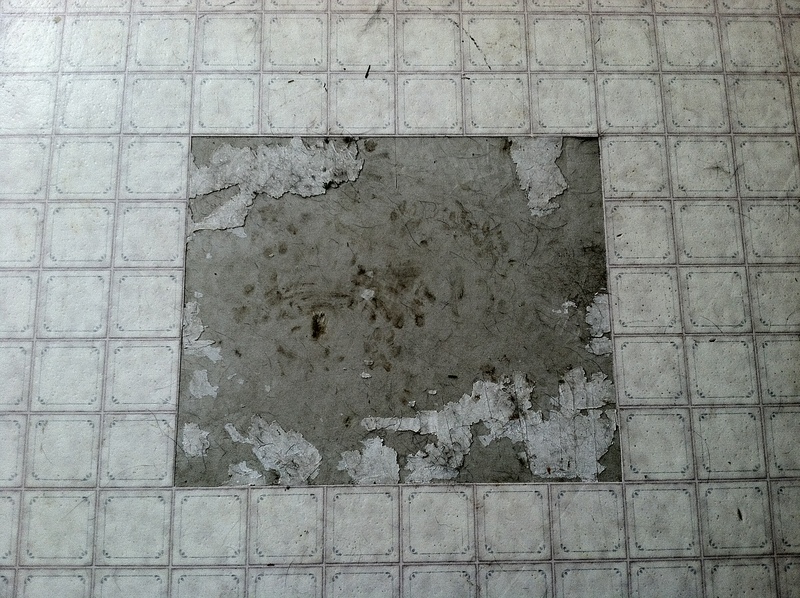 A few days ago, our crazy dogs somehow managed to rip up a section of our linoleum floor in the basement. My poor husband was flabbergasted when he saw it! But, he was ready to fix it. He precisely cut out a square and planned to replace the missing section with the leftover flooring our previous homeowners left behind. 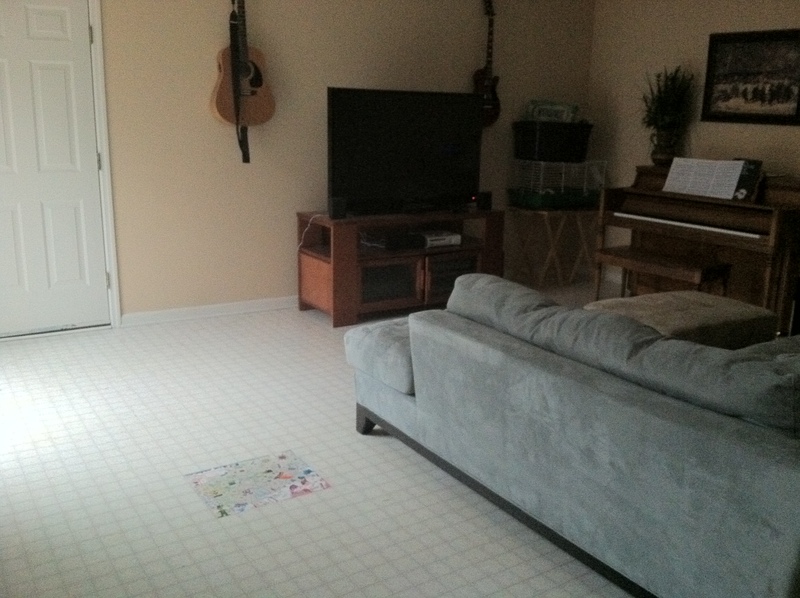 But, somehow…that flooring went missing. (Adam thinks he threw it away. “Ha,” the packrat in me gleefully exclaimed. 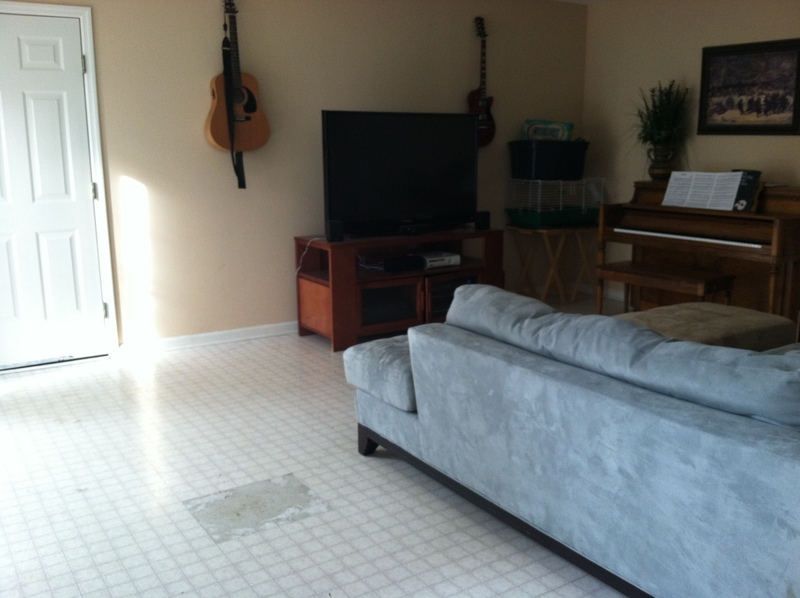 See, you just never know when you may need that old flooring…). Anyhow, he went to Lowe’s and just planned on picking up a new piece there. But…they didn’t have any matches. So, we were left with a 15″X18″ section of concrete and no feasible way to hide it. Oh, what is a girl to do? But, that idea wasn’t exactly fitting into our budget. If you can’t hide something…then highlight it! I just love the way it turned out!! The kids each got to draw whatever they wanted to. 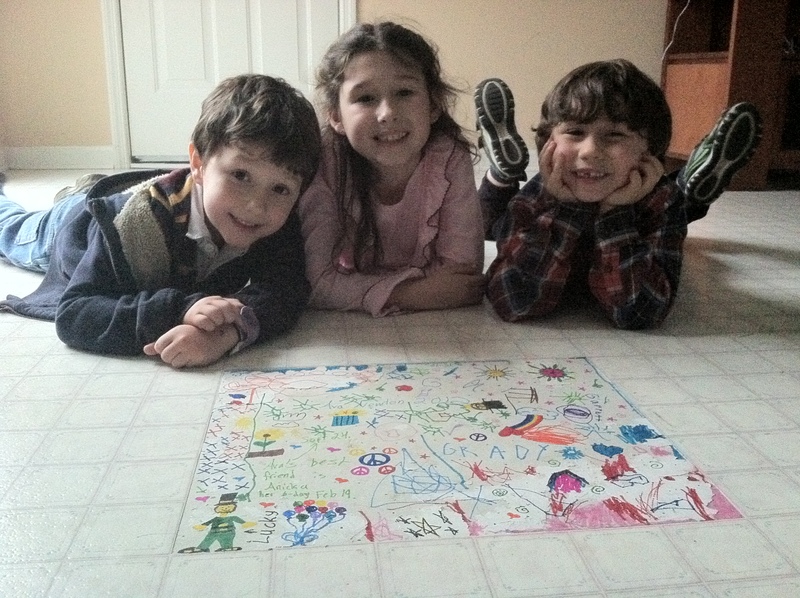 My only requirement was that they each write their name somewhere on their drawing and the date they made it. 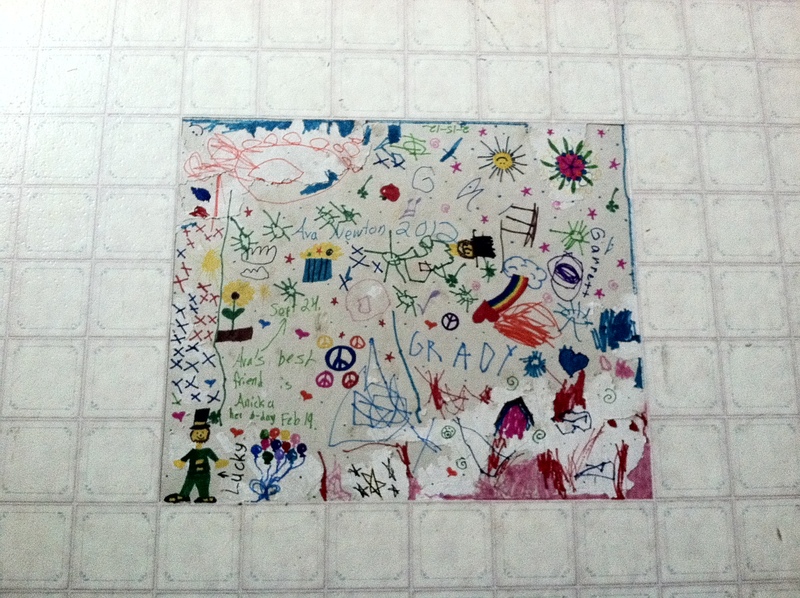 While admiring our masterpiece, I made sure the kids understood that this in NO way means they can destroy any area of the house in hopes of creating another coloring opportunity.